Gene has been involved in the financial services industry for more than 20 years, primarily in Wichita, KS where he resides. During that time his primary mission has been and continues to be focused on the individual customer. His pledge is to provide professional service, sound strategies and the highest ethical standards. 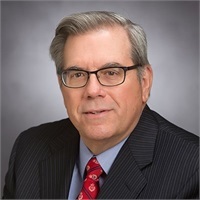 Throughout his career in the financial services industry, Gene has concentrated his efforts toward helping individuals and institutions understand their financial goals and objectives, and help build long term strategies that lead to their desired out comes. Prior to devoting his career to helping people as an Investment Advisor, spent 15 successful years in the aviation industry working largely in a business development and professional management role.